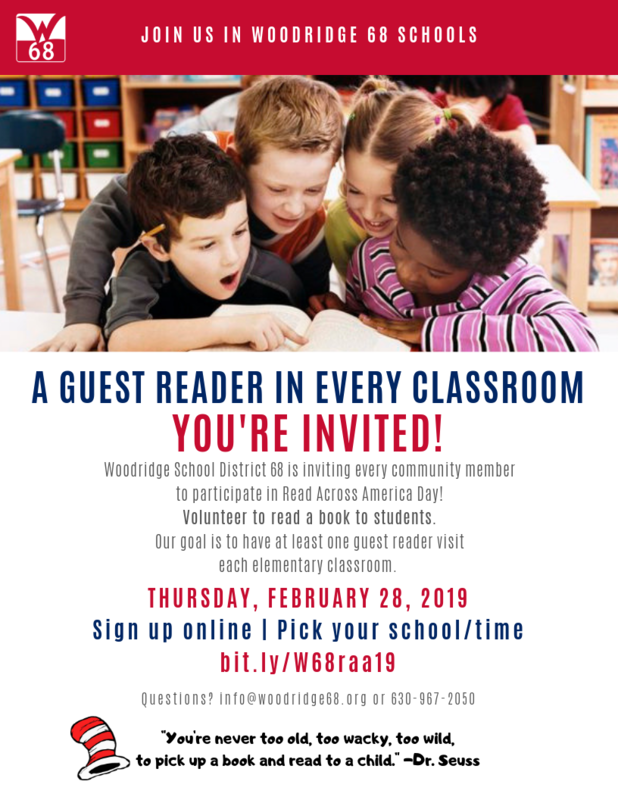 Woodridge School District 68 is inviting every community member to participate in Read Across America Day! Volunteer to read a book to students. Our goal is to have at least one guest reader visit each elementary classroom. Another way to support reading in the classroom is to donate a book to the classroom when you visit. This is an optional contribution – we’re happy you’re reading!